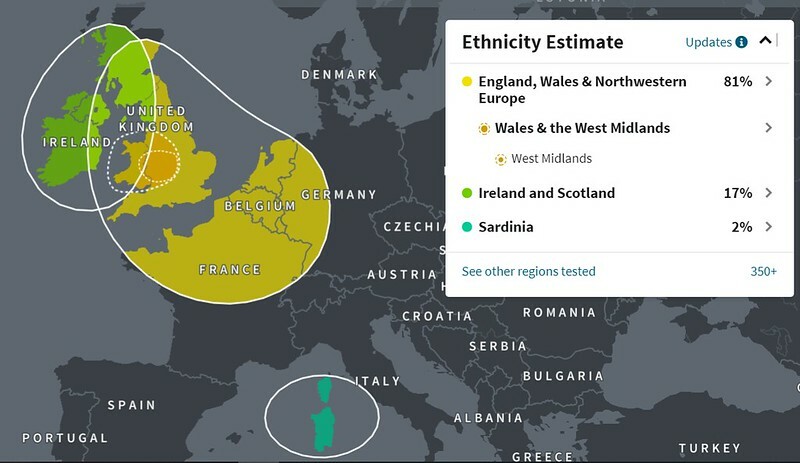 I've lost my Scandinavian, Iberian and Caucasian flourishes, and am now even more determinedly British, with 98% of me hailing from the British Isles and northwest Europe. But look! The remaining 2% turns out, with intriguing specificity, to be Sardinian! I've no idea where that came from, but I'd certainly like to know. By the way, I discovered today that a blog I wrote a for a local travel company about my trip to Japan was published back in July. It would have been nice to know about it before, but here I am, in breathless journalistic style, taking part in non-academic engagement.